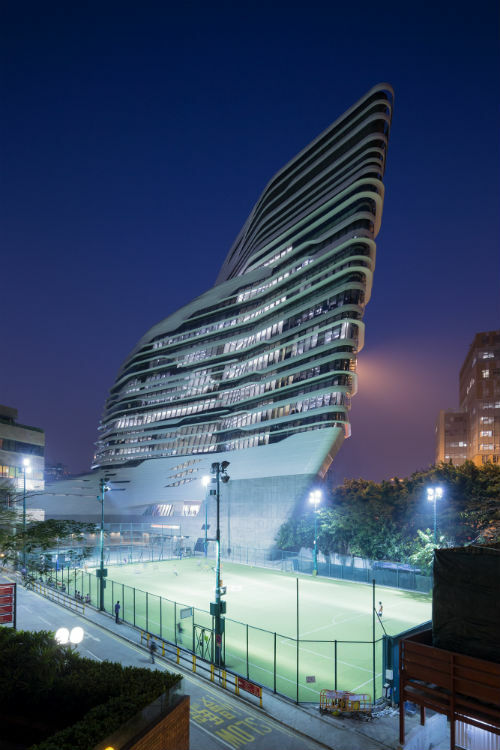 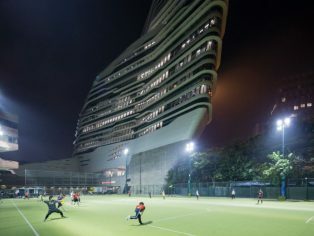 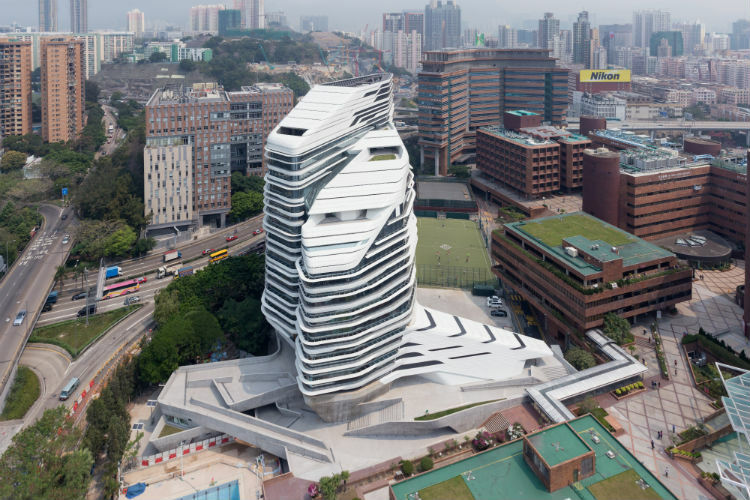 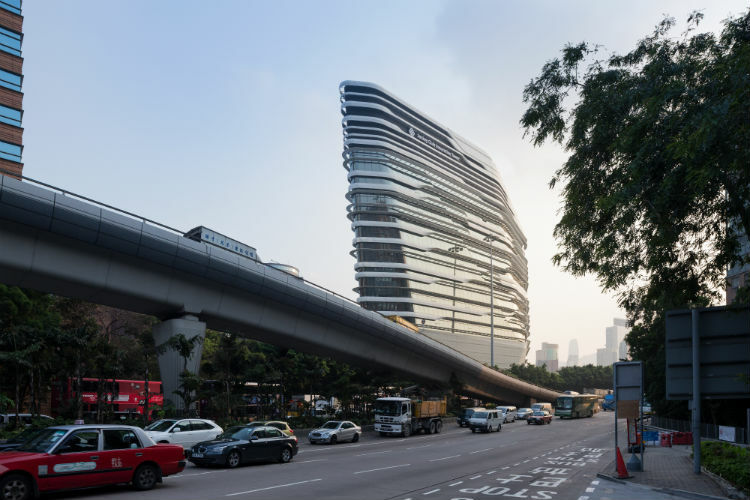 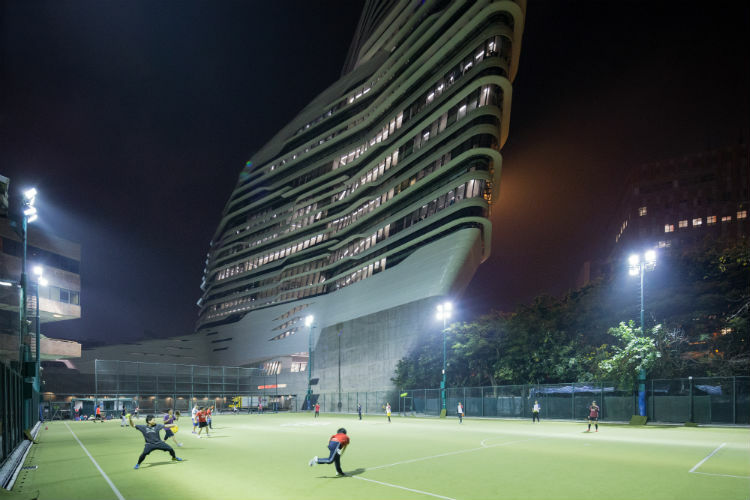 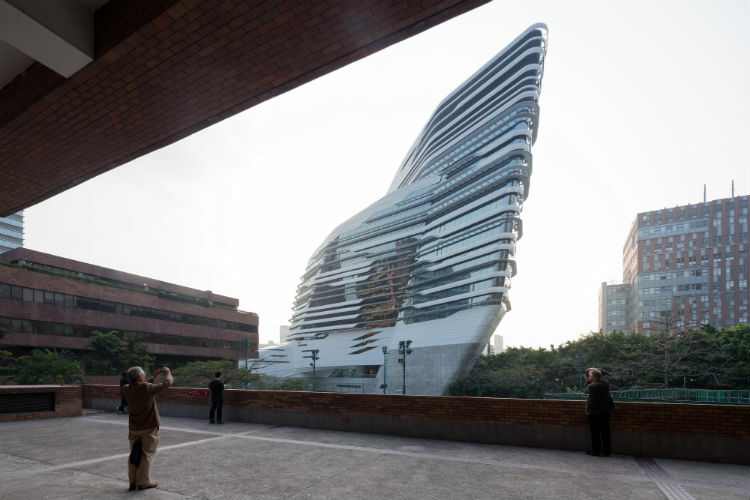 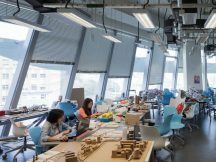 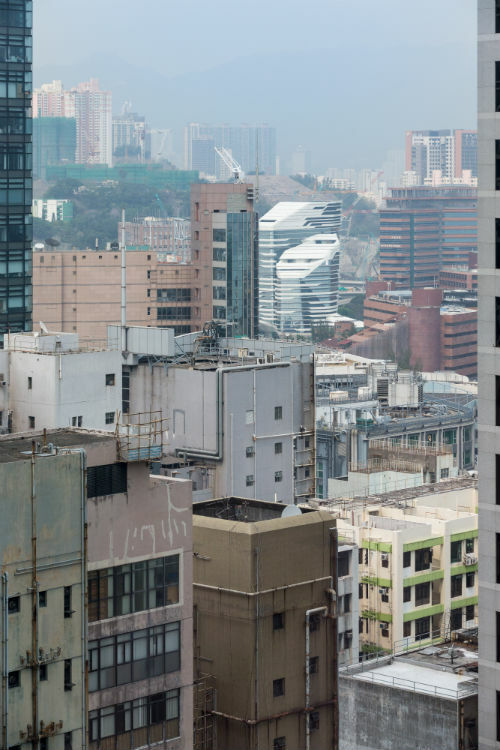 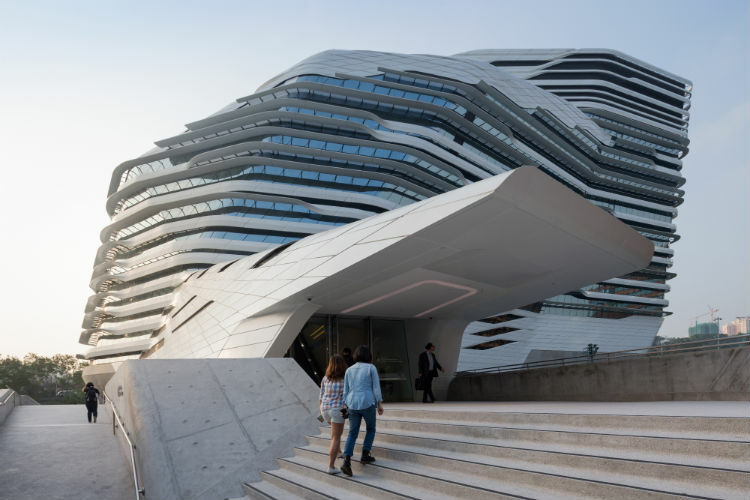 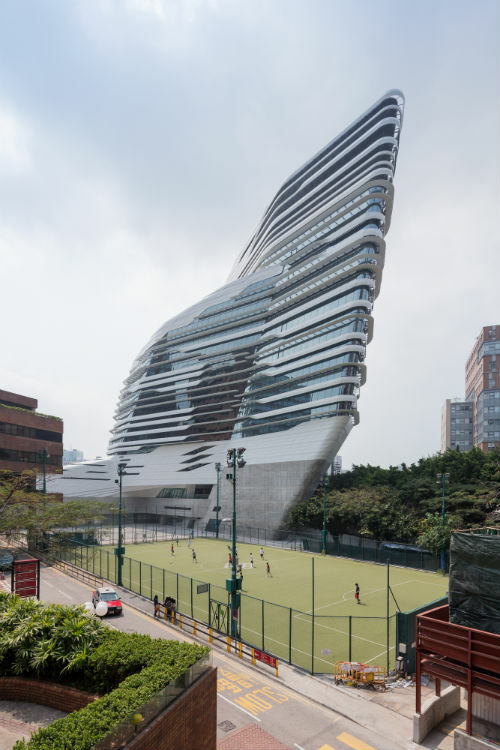 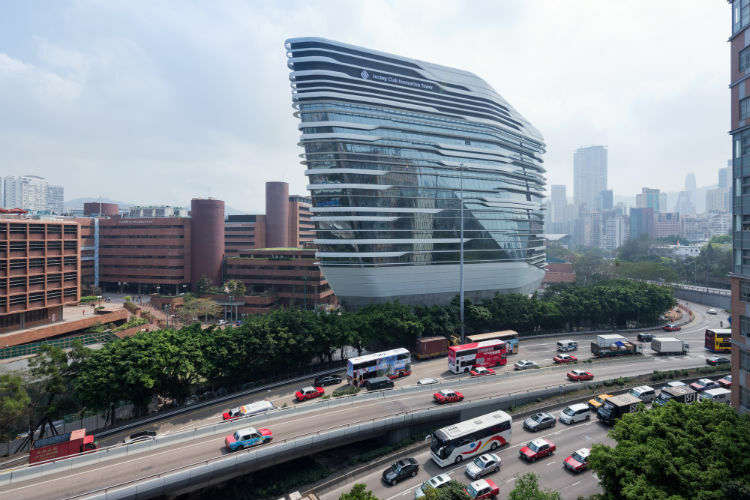 The Jockey Club Innovation Tower (JCIT) is home to the Hong KongPolytechnic University (PolyU) School of Design, and the Jockey Club Design Institute for Social Innovation. 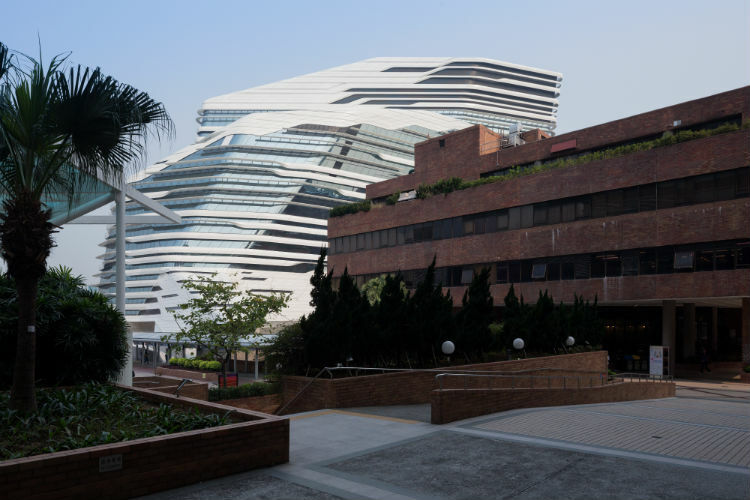 Located on a narrow, irregular site at the northeastern tip of the university campus (bordered by the university’s football ground to the south, and the Chatham Road/Kowloon Corridor motorway interchange to the north), the JCIT is connected to the heart of the campus; encouraging the university’s various faculties and schools to develop multidisciplinary initiatives and engagement with the community, government, industry, NGO’s and academia. 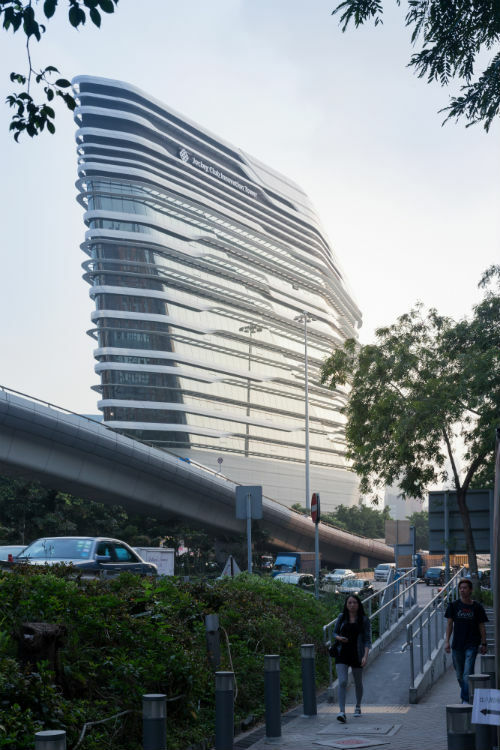 The JCIT design dissolves the typical typology of the tower/podium into a more fluid composition. 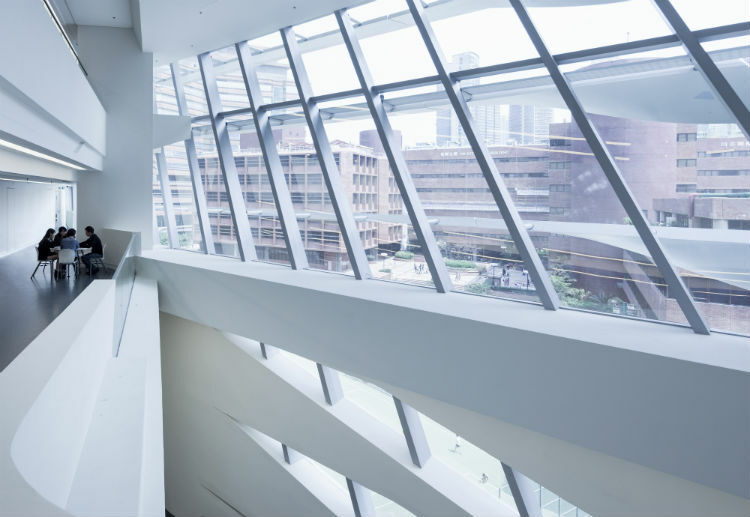 Interior and exterior courtyards create informal spaces to meet and interact, complementing the large exhibition forums, studios, theatre and recreational facilities. 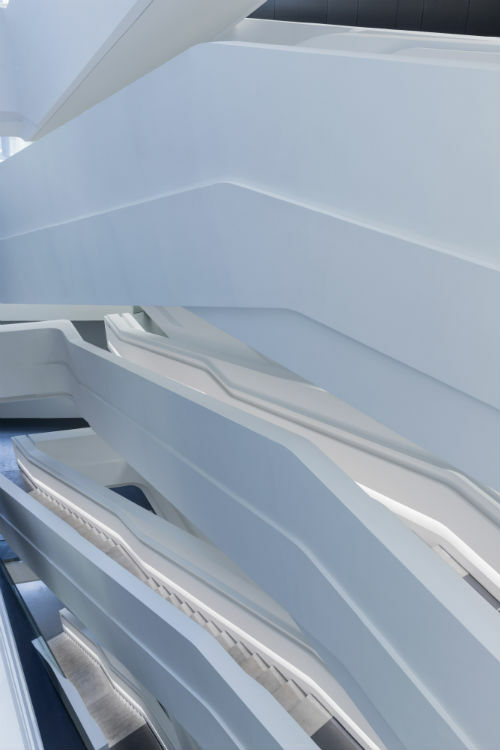 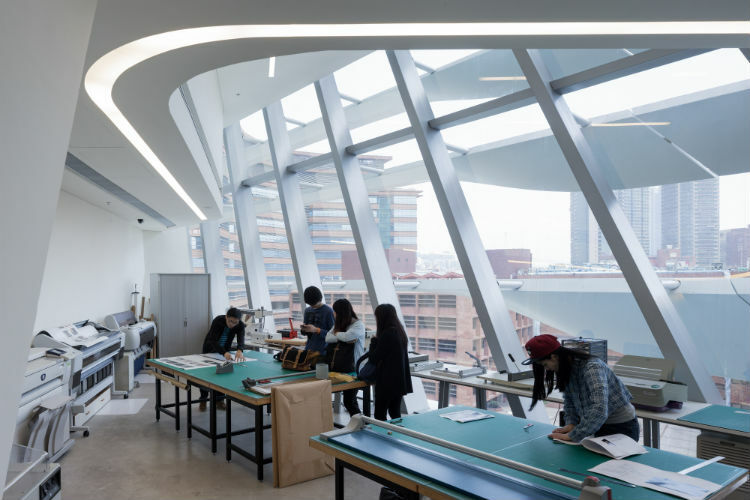 The tower’s design promotes a multidisciplinary environment by connecting the variety of programs within the School of Design; establishing a collective research culture where many contributions and innovations can feed off each other.